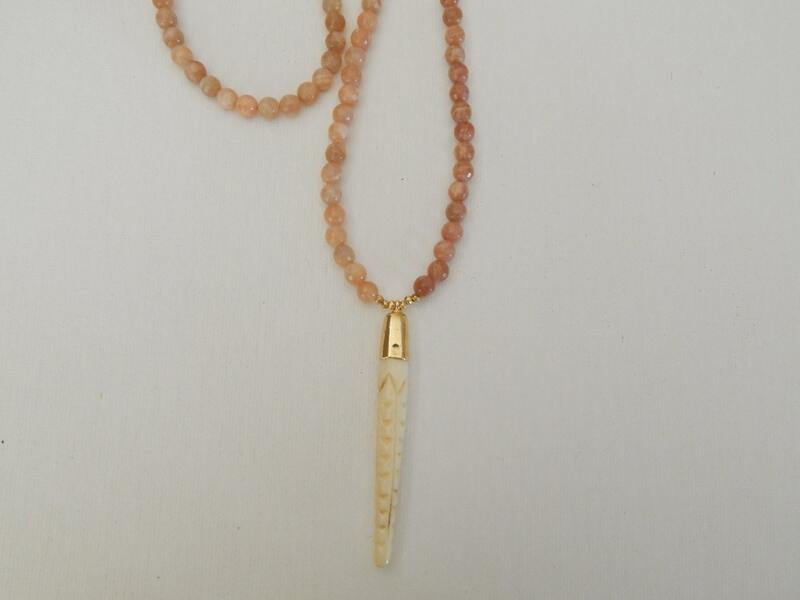 This necklace features faceted sunstone and a carved bone spike with a gold vermeil cap making this necklace your perfect go to piece this summer. 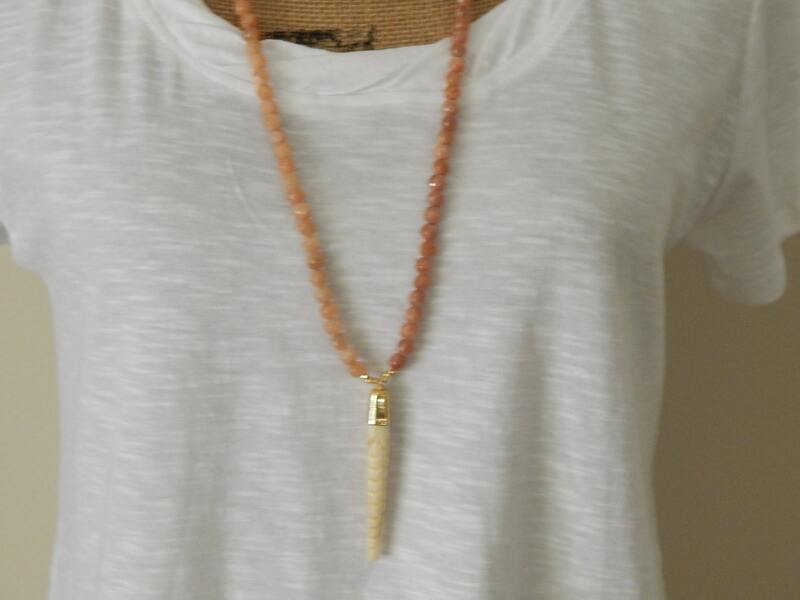 The neutral color makes it easy to layer with other necklaces or wear alone for a summer boho look. 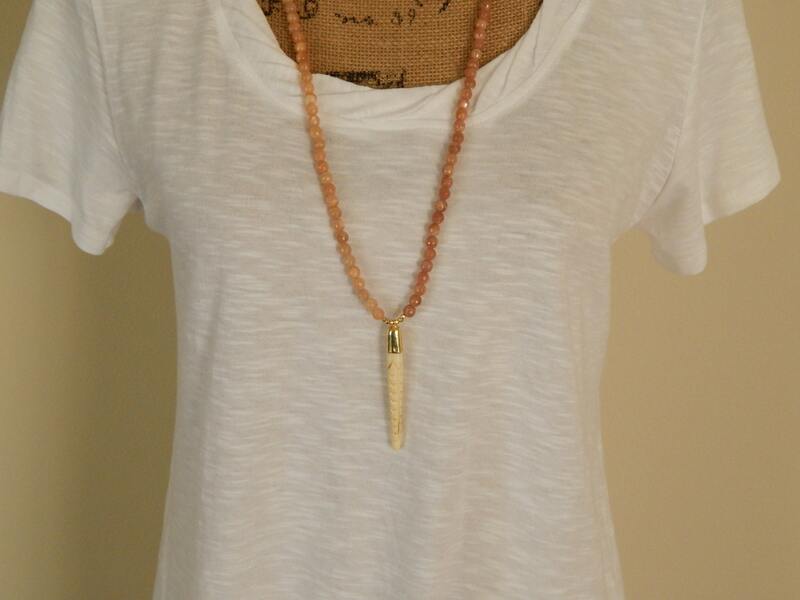 Necklace measures 32 inches and the spike is 2.75 inches. Beads are 6mm. 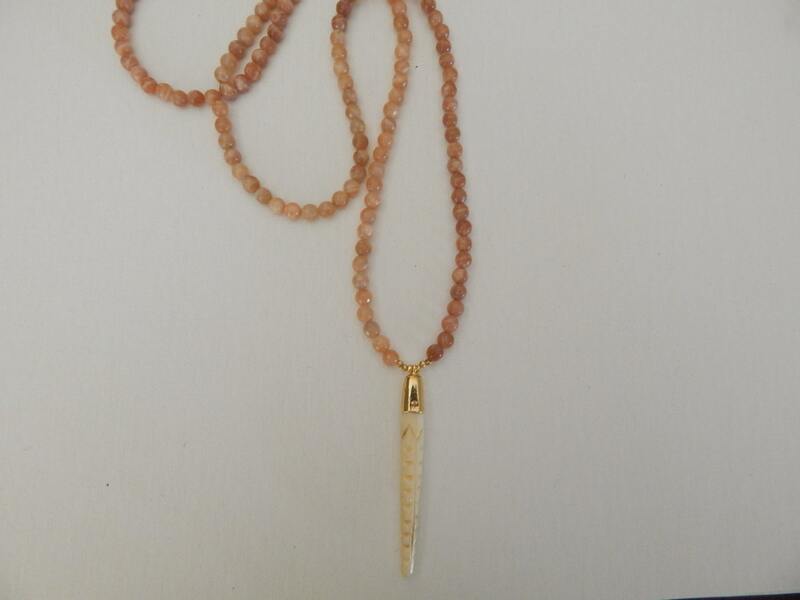 Necklace does not have a clasp it just slips over the head.